The calabash or a gourd, locally known as lekket, is a tropical plant that usually grows in tropical and subtropical areas of the world. There are two different kinds. One is a tree and its fruits can be used as vegetables, when they are harvested early. The other one is growing in the soil and it is harvested, when it’s mature, then it’s dried, and used for different purposes. People don’t consume it. They grow in a variety of shapes. Some get really big! The round ones, formed like a watermelon or a pumpkin, are used to make utensils, water and food containers, bowls and also instruments. The small ones are also used as a wall decoration nowadays. When the fruit is mature, they usually divide it into two parts, take out the meat of the fruit and dry it. Some use a sharp and hot iron to design the outer layer. A decorated calabash has additional value. It has been considered as a worthy present during marriage, a valuable equipment to start daughters off in their new social role. In some tribes they use it as head covers with added beads around the edge of the calabash for newlyweds or other traditional ceremonies. In the history and also nowadays the calabash basically fullfills many practical functions in the day-to-day activities of the Gambian people. As there are different sizes and shapes it can be used for serving food, milking cattle, as a spoon, as a food container and as well as carrier vessels. In the old days, there were no bowls and other household equipment, therefore they only used the calabash in different sizes and shapes. It was very practical for carying vegetables from farms, to make porridge or cherreh (millet), for washing rice, to drink milk from it and as a tool in the daily women’s trade at the local markets. The calabash played an important role in the Gambian culture used by all tribes with respect, love and honour. In some tribes it is a blessing and privilege if you are offered to drink cow milk from a calabash. Not everyone gets such an opportunity. Some believe it has some extraordinary spiritual magic power. 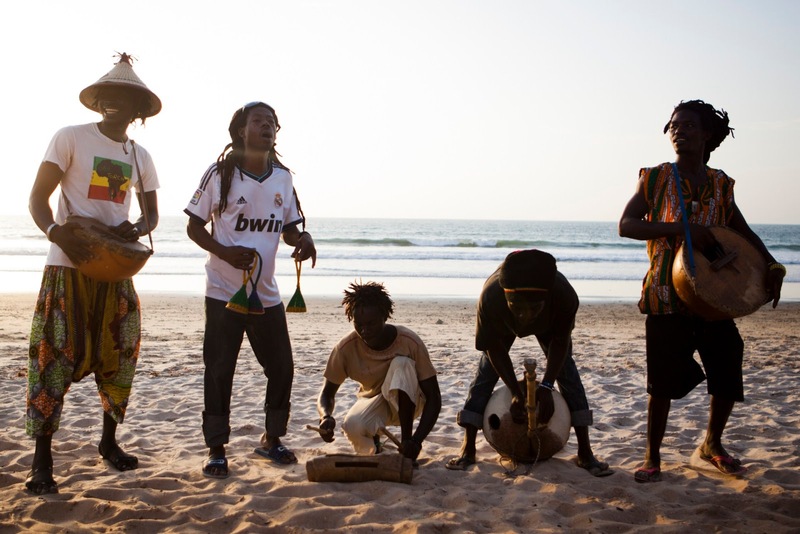 As per traditional music and instruments in The Gambia, the calabash was used to make different instruments and sounds. The kora instrument, a harp built from a large calabash cut in half covered with cow or goat skin and two handles. Strings were traditionally made from thin strips of hide, for example antelope skin – now most strings are made from harp strings or nylon fishing line, sometimes plaited together to create thicker strings. 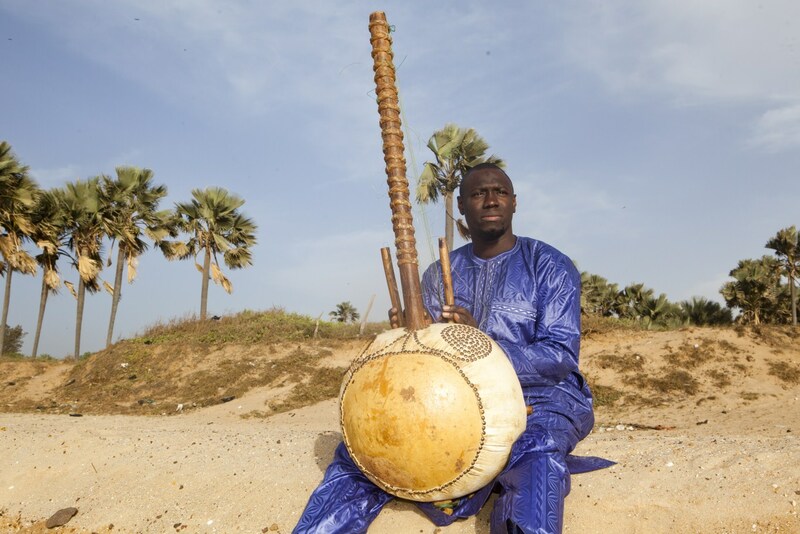 Kora players have traditionally come from griot families (Mandinka tribe) who are traditional historians and storytellers passing their skills on to their descendants. A traditional kora player is called a Jali. Giving and receiving kola nuts is a traditional exchange of friendship and respect. The nut of a kola tree plays an important role in the social and culture life in The Gambia and Senegal. A caffeine-containing nut of evergreen trees of the genus cola, most common in Western Africa and the Atlantic coast area of Central Africa, are highly valued for its qualities. Kola tree is reaching up to 20 meters in height with leaves up to 30 cm in length. 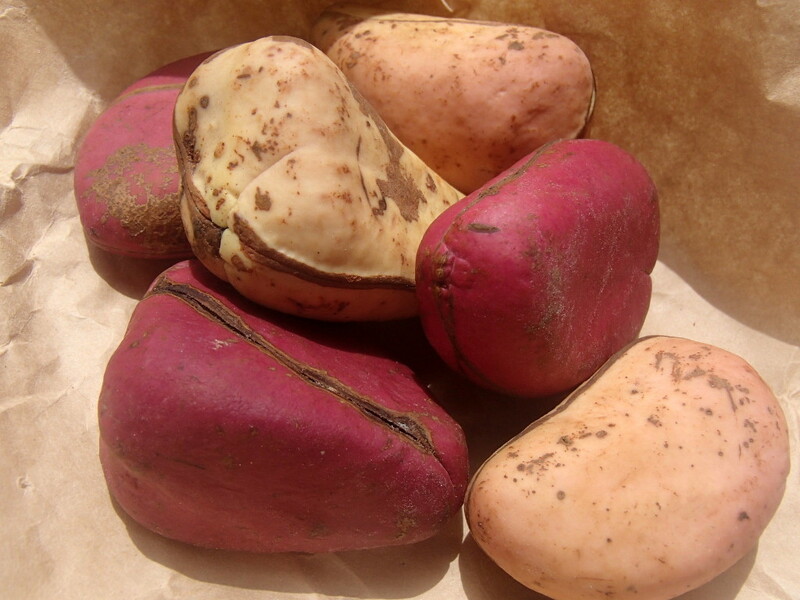 Kola nuts are consumed by breaking them open and into pieces, then chewing the kola nut pieces as one chews gum. Sometimes a knife is needed to cut the nut into pieces. The stimulative effect is similar to a strong cup of coffee. Besides the fact that Kola nuts contain caffeine and act as a stimulant and anti-depressant, they are also thought to reduce fatigue and hunger, aid digestion, and work as an aphrodisiac and have healing properties. The pods are also used to ease labor pains; seeds to relieve diarrhea. The roots are used as a chewing stick to clean teeth and freshen breath. Kola nuts are very important during certain social occasions such as naming ceremonies, funerals, wedding ceremonies, and other important traditional events. It is also commonly used when asking someone’s forgiveness and to unite families and groups in society. Its vitality elsewhere can be also used as a valuable gift to show respect and could be exchanged as a ritual gift. Some also use it for charitable purposes, rituals performed by religious healers, while others use it as food. If you are visiting a village, a little bundle of nuts makes a good present to offer the Alkalo, or the village chief, when you first meet him. In wedding ceremonies, kola nuts serve as an evidence in tying both parties together. Kola nuts are often given by a groom to the parents of the bride. They usually share them amongst the attendants after usual prayers and some counseling remarks. Kola nuts are also given as a gesture of friendship and hospitality in some parts of Africa. So do not be surprised if you will receive a gift, when visiting someone’s home. Kola nuts are sold at any local market, different corner shops and street vendors in small and large quantities. The fruits of the kola trees have different colors; pink, white, yellow, beige and red. The first taste is bitter, but sweetens upon chewing. The price is negotiable, but you should know that each nut is priced according to its size. A traveler with a kola nut will often offer a piece to the others nearby, whether he knows them or not. When visiting The Gambia, you must try food that is offered on the streets. Not everywhere, but we will advice you where to buy it. We believe getting to know a country through its food can bring you more close to people and their culture. We would recommend everyone visiting The Gambia for the first time to try at least one or two traditional dishes. My favorite Gambian meal is Domoda! Domoda is a delicious groundnut stew mixed with spices and vegetables or meat (also beef, chicken, fish). It is very famous food in The Gambia and Senegal. If they prepare it less spicy, it is also number one choice for many visitors of The Gambia. Cut chicken in pieces and season it with salt, mixed seasoning, black pepper and vinegar. Then put it in the cooking pot and add enough water to cover the chicken. Then blend onions, pepper, fresh tomato and add it into the cooking pot. Let it boil for 20 min and add the peanut paste and some water. Leave it boiling on low fire for 10 min and add tomato paste. The dish is ready, when the sauce is thick. While cooking the rice, leave the pot with the sauce half covered. If you decide to have beef domoda, than you need to boil the meat first and continue to follow the recipe. If you want to have it with fish, you need to steam the fish together with blended onion, pepper, fresh tomato and lemon. After 10 min take the fish out and follow the recipe. When the meal is served, you add the fish on the top or on the side. Try it at home. You will love it! Saturday morning. Sunrise a couple of minutes before 7am. Everything is still asleep. This is day 6 of introducing drinking black coffee. I've cut out sugar years ago. When I quit smoking, I didn't drink coffee for a while, because even coffee wasn't coffee without a cigarette. Eventually I learned to drink coffee with milk without a cigarette. And now I've read somewhere, how harmful coffee with added milk is and bla bla bla, so I've decided to torture myself a little again. I cut out milk and I start thinking about quitting coffee, because without milk, it's hardly desirable. But still, the heart in coffee, sunrise, birds singing and fresh ocean breeze promise that today is definitely going to be a good day. You can already feel it in the morning. The neighbour's donkey disturbs the silence with its ia ia ia. Right after that a rooster announces the beginning of the day in Africa. The neighbour's donkey rocks otherwise. He is really annoyed by birds, which he keeps chasing, he enjoys kissing the horse and he keeps making noises. Both, the horse and the donkey, belong to this one Austrian woman, who has been living here for a number of years and works for a Gambian animal rescue NGO. This donkey used to have long „conversations“ with the neghbour's donkey. First you would hear ia ia ia from one side and then again from the other side. I'm no sure what they talked about for such a long time. Now this „other“ donkey is not near us anymore. I check the fruit on the mango tree growing in „our“ small garden from the balcony. They're growing, they're growing. I can't wait for the mango season to begin. This is the season you can all envy me. When I first tasted mango, it was in Egypt. If there was a declaration for mango, it would say: The consequence of unlimited consumption is an incurable addiction. Roll up your sleeves, while you're eating, because the stains of juice running down your elbows are difficult to remove. Be near a toilet after consumption, because mango strongly aids better digestion. Losing weight with mango is 100% guaranteed. I remember, when I first came to my home country for holidays and bought mango at one of the stores. It wasn't at all similar to the fruit called mango! But it's not their fault. When my mother bought fruit for my husband last year, also bananas among others, his statement was completely on point. This isn't even B from banana. He would rather enjoy apples, although I think even they aren't those real apples I have in my memory. I first found it odd, why all bananas in Gambia rot after two days. Well, of course they rot! The fruit in Gambia is full of sunshine, no chemicals, completely natural and when they cut off the bananas or the fruit falls off the tree, you have to eat it. If you don't, it rots, like any other natural thing. You already know, we have lot in common with monkeys. Well, our common passion is also fruit. It's incredible the things monkeys do, when mangoes are ripe. I think we have more monkeys in front of our house, than there are pigeons in Venice. A fierce battle for fruit ensues among us. The monkeys win, because they are, well, monkeys and they jump from tree to tree and steal the fruit or help themselves to it. The only way to actually get a papaya, banana or mango is to protect the trees or remove it right before its ripe. They don't like unripe fruit. All in all, we all enjoy mango season, the humans and the monkeys. There is enough for everyone. The view of the street from the balcony is empty. It's going to stay this way at least until 1 pm. Today is the national environmental cleaning action. 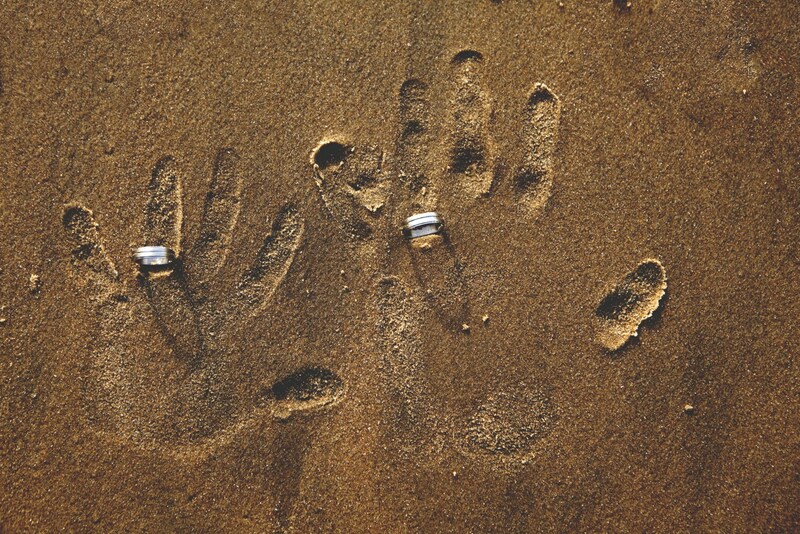 In the Gambia, Operation Clean the Nation, is locally known as Set Settal or Setal. The action or the program is aimed towards solving the waste problem. It takes place on certain Saturdays, when most companies and all schools across the country are closed. The traffic is closed for all vehicles, personal and public transport alike. The military controls the roads during this time. In cases of emergency or other extraordinary circumstances, it's possible to obtain permission from the police to use the road during this time. The action usually takes place every last Saturday of the month. It begins at 9am and lasts until 1pm. The date is normally announced on the radio, on TV and over text messages. All companies and stores are closed during this time, the roads are empty, so the garbage trucks have space for cleaning and taking away waste. I've arranged to visit two families in the afternoon, but they informed me that one girl isn't going to be home, so I rescheduled for Sunday. My friend Amie also called me and invited me to the ceremony taking place on Sunday afternoon. When? “We are going to start around 5pm”, she answered. OK, no problem. I'll come! I told to teh taxi driver to pick me up at 6.30pm. I believe I'll be there just in the time for the ceremony to begin. When I came back from the ceremony there was no light cause there was a small problem in the room, where the generator is housed. The matter was resolved quickly, because the fire was small. So my husband and I enjoyed a romantic evening in candlelight. I cooked an excellent dinner for us and he put on some Gambian music on his phone. Life is good. There is something positive in every negative thing, you just have to be able to see it. 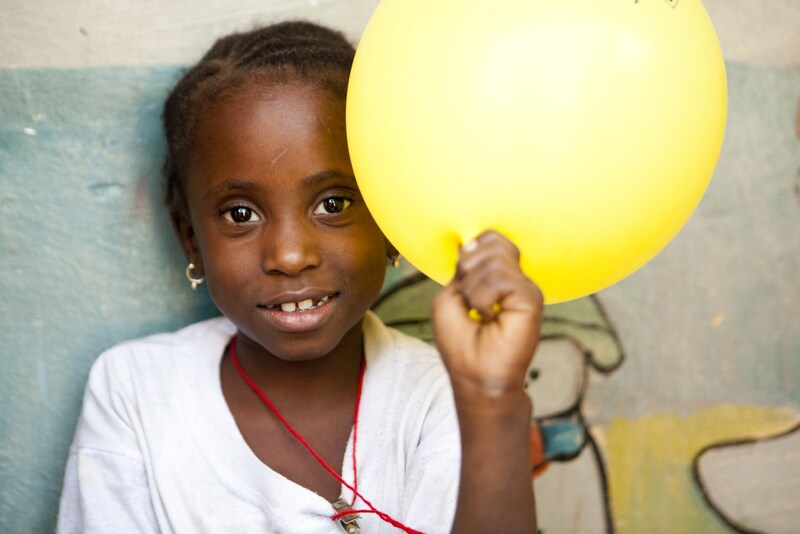 These moments of happiness enrich our lives. I'm grateful for every moment I spend in Africa. Even when we're in the dark, life is simply perfect.